Eisenberg isn't the first to catch flak for this sort of thing, and he certainly won't be the last. The Internet has been abuzz the last two weeks since Jesse Eisenberg was announced to be playing billionaire supervillain Lex Luthor in Zack Snyder's upcoming Batman vs. Superman, because on the face of it, the casting just doesn't make sense. Even allowing Snyder's audacious interpretation of the Man of Steel, Eisenberg still seems like a massive gamble considering that more revered names such as Bryan Cranston and Joaquin Phoenix had been thrown around for months before. That said, Eisenberg isn't the first to catch flak for this sort of thing, and he certainly won't be the last. Still, it's worth considering the countless other now-iconic villain roles which very nearly went to other actors, and how they would've made Eisenberg's bizarre casting seem like a natural fit by comparison. As usual, feel free to argue about these casting near-misses in the comments! Nicolas Cage has flirted with comic book properties a lot over the years, though the majority of his forays have ended up falling through. 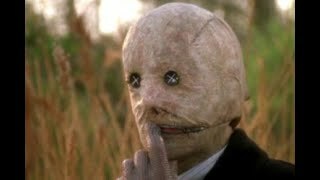 Joel Schumacher once wanted Nicolas Cage to play Scarecrow in Batman and Robin (a role that was eventually scrapped for that movie), and it's safe to say the actor could probably have channeled his signature eccentricity into something quite brilliant for that character, or at least certainly no worse than Mr. Freeze. As Norman Osborn aka Green Goblin in Sam Raimi's Spider-Man, though? The thought of seeing Nicolas Cage playing daddy to James Franco sounds frankly laughable, not to mention he was probably slightly too young to convincingly play that part. On the other hand, he'd probably have made a far more interesting Goblin, given his penchant for crazy. I could especially see him pulling off the late-day scenes in which Osborn isn't wearing the Goblin helmet. Still, Cage would struggle simply with the fact that he was too young at the time, short of them casting an even more baby-faced actor than Franco. In the end, Cage reportedly turned the part down. Thank God.